Masser received its title from the Aldmer, who knew the plane as Jode ("Big Moon God" in Ehlnofex). 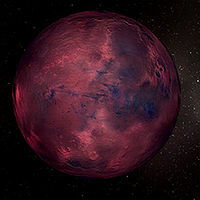 Similarly, Masser finds itself invested with a position of authority and reverence among the Khajiiti pantheon, as its phase at the time of their birth — along with that of Secunda, the lesser of Nirn's moons — determines their form. The Lunar Lorkhan suggests that Masser originated as one of the halves of Lorkhan's "flesh-divinity", cast within the bounds of Nirn at the time of his destruction, and thus, is a personification of the dichotomy that Lorkhan legends often rail against: ideas of good versus evil, being versus nothingness, and so on. It is believed that Masser was thus purposefully set in the night sky as Lorkhan's constant reminder to his mortal issue of their duty.